Clearview Legal Video was started by Doug White under the name Top Notch Audio & Video in 2003 as a audio / video recording and production studio. Having a passion for this technology and working with it for almost twenty years it didn't take long to find a direction that he could use his knowledge and experience. In late 2003 he began the process of becoming a Certified Legal Video Specialist (CLVS) through the National Court Reporters Association (NCRA) soon becoming certified. Having not put too much thought into the name Top Notch Audio Video and it's vagueness Doug decided in mid 2010 that a new branch of the company should be formed and a name change was in order, Clearview Legal Video, LLC was formed to more directly reflect what our focus is. Our goal is to become a go to resource for the legal community. From legal video to court reporting we are dedicated to keeping up with the newest technology and training as it becomes available to help make the legal communities job a little easier. We are not looking to be the biggest just the most reliable and cost effective. Doug grew up lived in North Baltimore, a small town in Ohio until 2009 when he and his wife Nicole a court reporter (of 20 years) moved to Charleston where they have been raising their two boys. 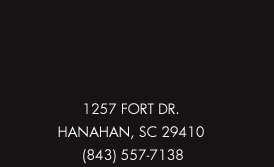 In 2001 Doug and a friend Lane Cyphers founded a non-profit recording studio in downtown Charleston called Carolina Studios. Where it quickly caught the attention of Mark Bryan from the local band Hootie & the Blowfish. It's mission is to help under privileged youth to learn computer skills and technology by disguising the learning with the love for music and video technologies. Doug is still actively involved with Carolina Studios.